Have you ever experienced -33C weather? Its fantastic! 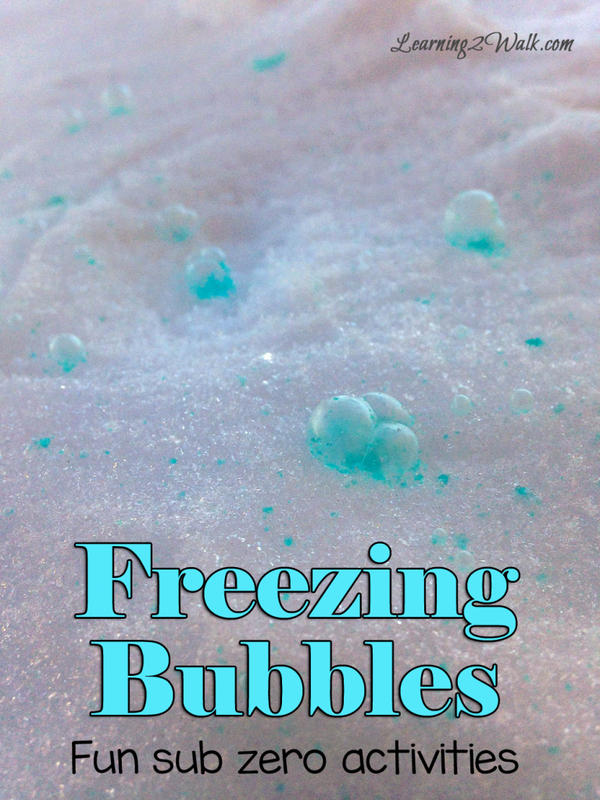 Now before you think I am crazy, I will explain and show you our impromptu freezing bubbles winter activities. Everyone knows that when the temperatures drop below zero, things freeze but do you know what happens to simple bubble mix in this weather? How about boiling hot water? Let’s walk. As I said our freezing bubbles activity was a total spur of the moment activity. So spur of the moment that I had to create a quick bubble solution and created a wand with a paper clip and an old ring. Microwave the bubble mixture and add a few drops of food coloring. Go outside and blow your bubbles slowly and as close to the ground as possible. Leave for a few seconds. Our bubbles were hard enough for us to touch after a few minutes.